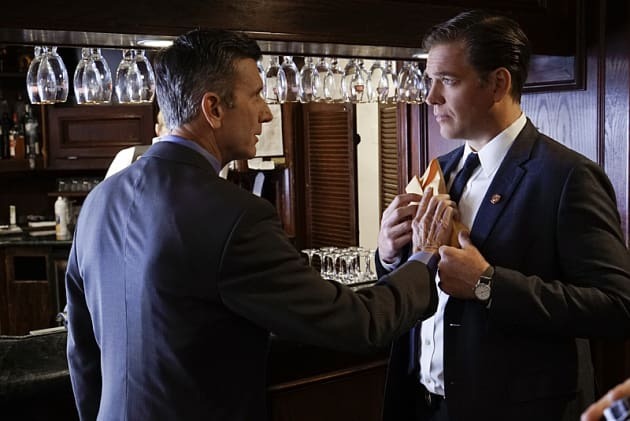 Tony's identity is stolen and used to blackmail senators on NCIS. "Charade" is the 20th episode of the show's 13th season. NCIS Season 13 Episode 20: "Charade"
I feel like I don't know who I am. And it's strange, because she stole my identity, right? But I feel like I already lost my identity. What is this? Seriously, is this some kind of weird metaphor for my current psychological state? Gibbs: So listen. Stretch. This isn't a game. You've got one shot at your friend. No fooling around. Tall Tony: Don't worry. I'm an actor. Gibbs: Yeah. That's what I'm worried about. Permalink: Yeah. That's what I'm worried about.